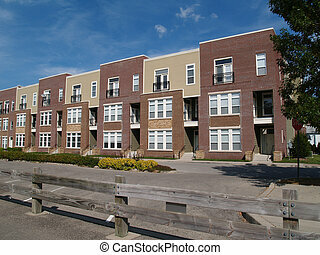 3 story condos, apartments, townhou. 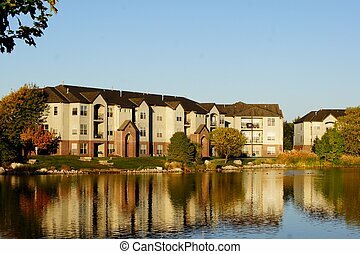 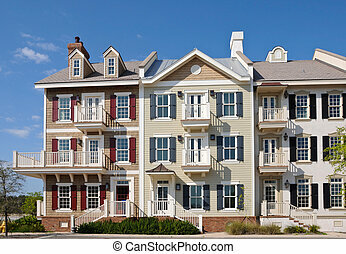 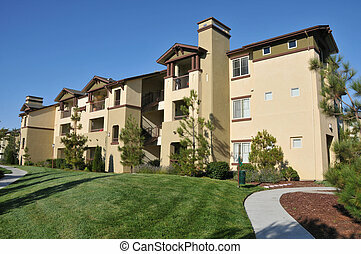 Three story condos, apartments or townhomes with vinyl siding of blue and tan. 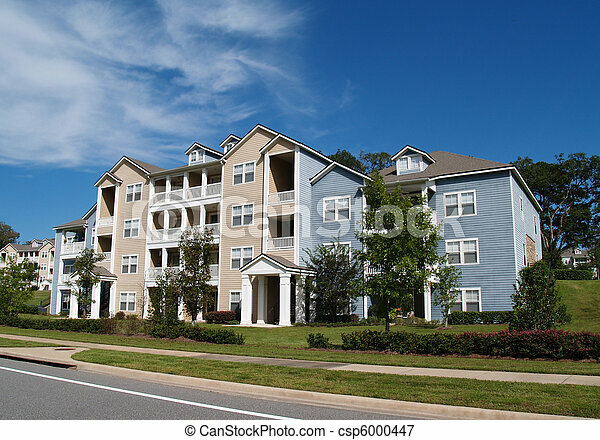 Three story condos, apartments or townhomes with vinyl siding of blue and tan. 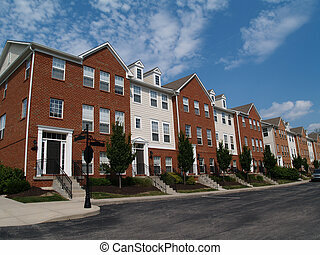 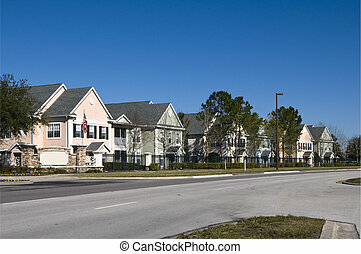 A row of new townhomes or condominiums. 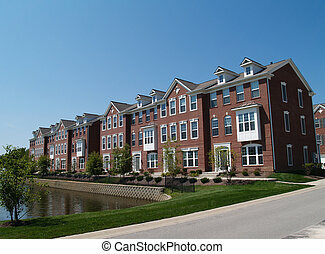 A row of new townhouses or condominiums. 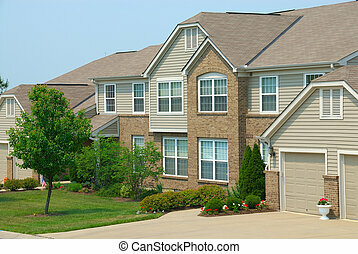 Residential condominium home in an upscale suburban neighborhood. 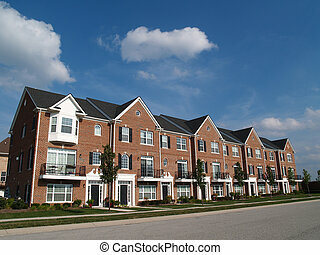 A row of brick condos or townhouses beside a street. 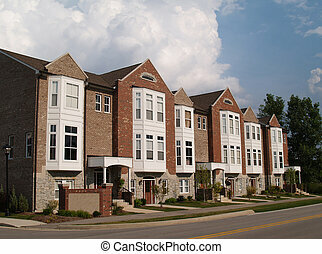 A row of brick condos or townhouses with bay windows beside a street. 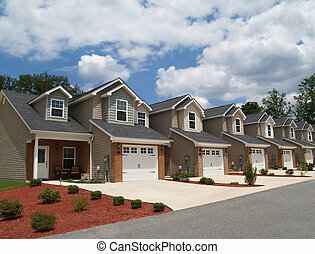 Two story low income retirement homes with the garage in the front. 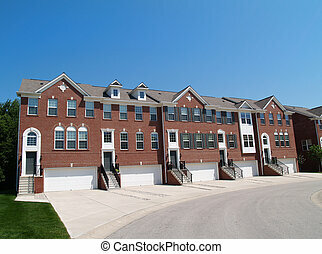 Red brick condos or town homes with the garage in the front. 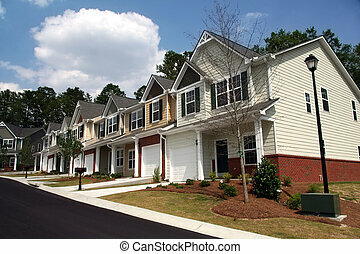 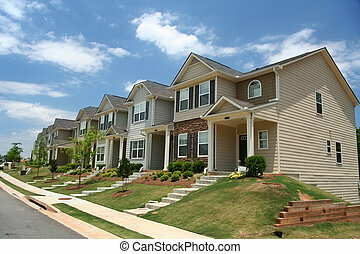 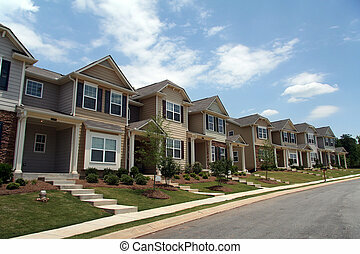 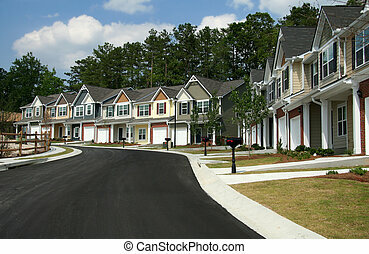 New townhouse or condo type homes made of different shades of brick and vinyl siding.